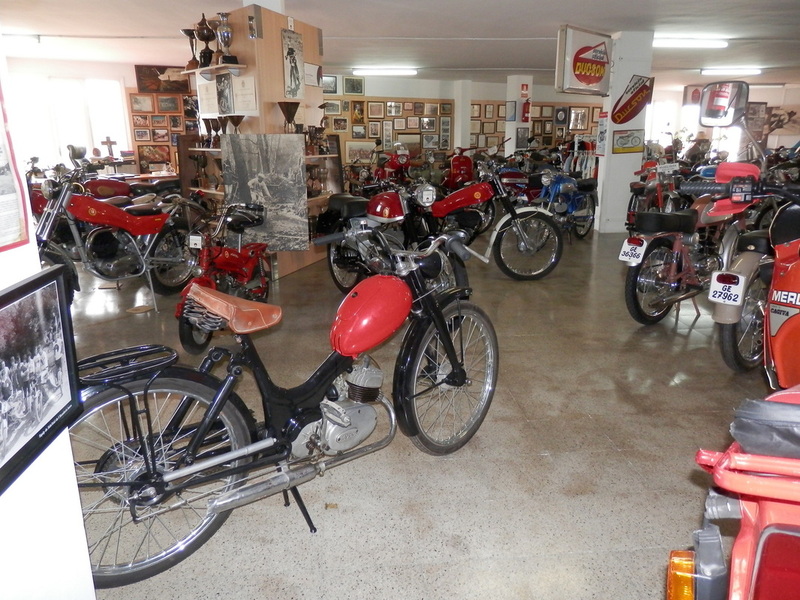 Isern Motorcycles has been running for 3 generations and is one of the oldest establishments in Mollet de Valles. 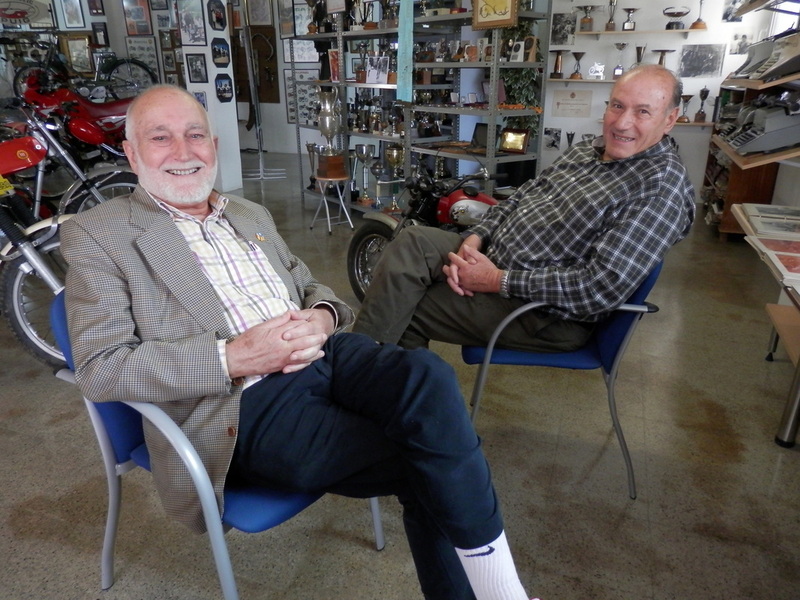 The family are dedicated to motorcycles and founded the Motorcycle Club Mollet in 1974. The club specialised in the organisation of children's motocross championships but was also involved in all sorts of motorcycle events sponsoring many many top riders. The original shop was founded in 1924 on calle Berenguer iii in Mollet. 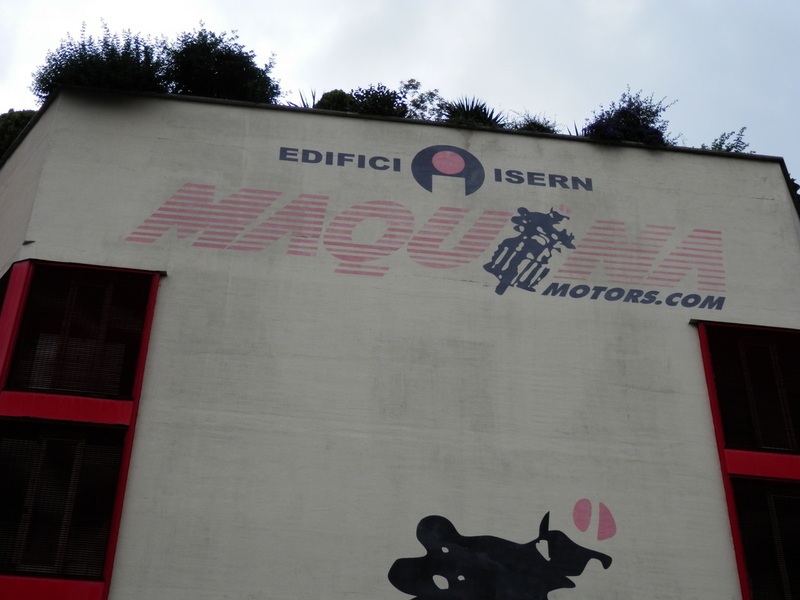 Isern was first a bicycle shop and then later the son Josep turned his attention towards motorcycles selling a variety of different brands such as Montesa. Isern was the number one Montesa dealer in the World for a number of years and sponsored many many riders and competitions. It's fair to say their hay day was the 70's where light weight machines were new on the market and transforming peoples lives both as transport and recreation. The current premises are on 7 floors with the 5th floor being the private Isern collection. This is occassionally opened by Josep for certain people or motorcycle clubs to visit. The collection includes and enviable Derbi collection which obtained the seal of approval from Angel Nieto. The collection also houses the museum of Pere (Pedro) Pi who is a multiple Spanish Champion and the first rider to win the Spanish title at Motocross, Trial and Speed. Retrotrials was luck enough to be invited and went along with Pere Pi. Pere's wife of many years is Maria Isern. She is the daugher of Jaume Isern. Maria is the sister of Josep the collection owner. 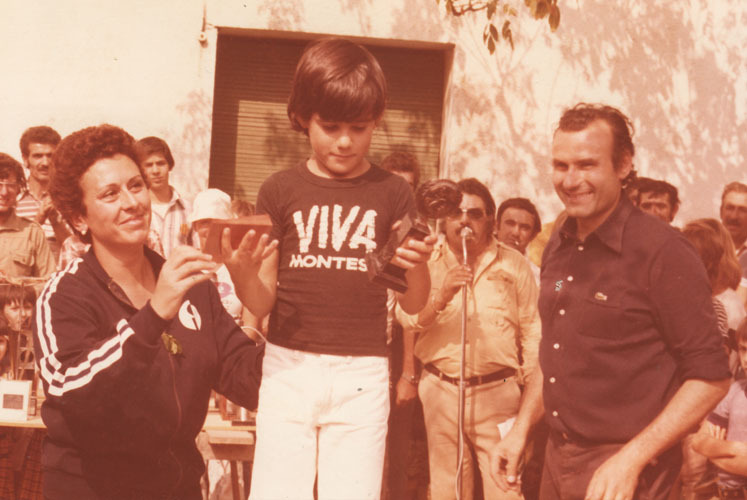 An early trialsin photo shows Pere's and Maria Isern's son Ot Pi, being presented an award by Josep and his wife, Ot's uncle and Aunt. The lovable and late Ricard Pinet stands behind on the microphone. Ricard would always be the compere for the trials and Trialsin events. He was a very popular character who was loved by all. A funny and cheeky guy who would promptly inform riders and spectators alike of results. 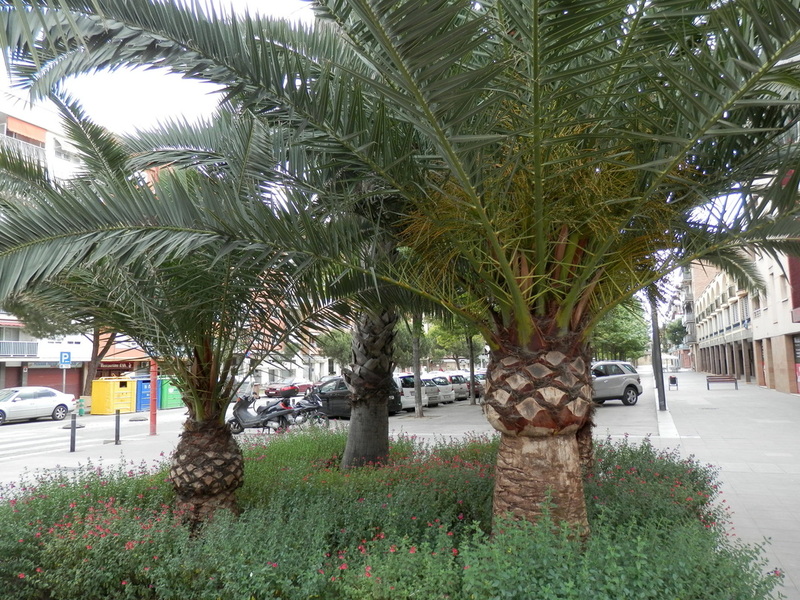 English men don't often see Palm trees. When we do, we have to photo :). Pere pressed the buzzer and we waited for 5 minutes. I'm not surprised. It was along way down from his apartment on the top floor. He then came to the side door and welcomed us. He invited us in and we followed him through a side door into his ground floor entrance lobby. Strangely there were piles of logs under the stairs. It's only strange as you don't come across many places of this age with fires, but then what do I know. 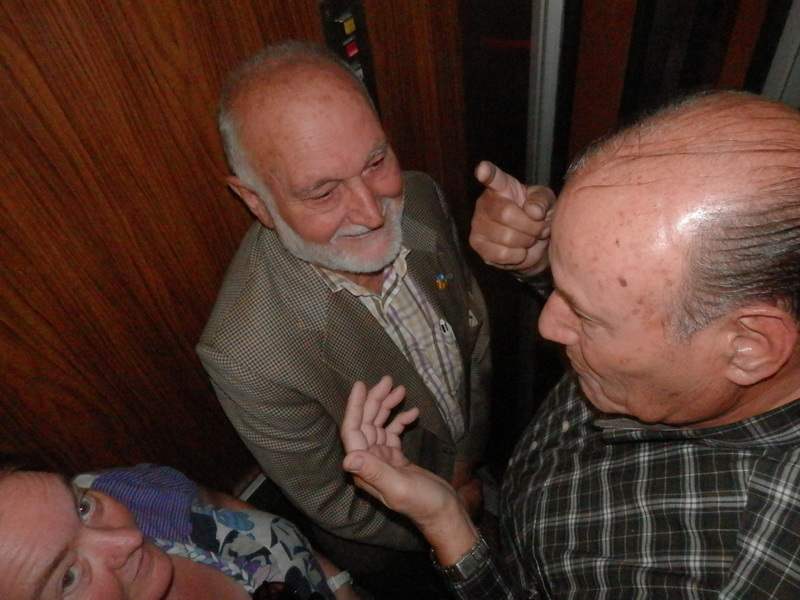 He then beckoned us into an elevator and we all crammed in as I discretely and nervously checked the elevator specification ha ha. Then we were off and upwards we went. So, whilst I was staggering around trying to wonder what to look at the first, Pere and Josep just sat and giggled.